AMMONNEWS - The loan is meant to support the government’s efforts to continue reforms in the financial and banking sector, in a way that enhances access to finance and financial services, according to a Finance Ministry statement. The loan also aims at enhancing financial inclusion, developing payment and settlement systems and improving monitoring and supervision systems on the financial and banking sector. Finance Minister Ezzeddine Kanakrieh and AMF Director General and Chairman of the Board Abdulrahman Al Hamidy signed the agreement in the presence of Central Bank of Jordan (CBJ) Governor Ziad Fariz and CBJ Deputy Governor Adel Sharkas. 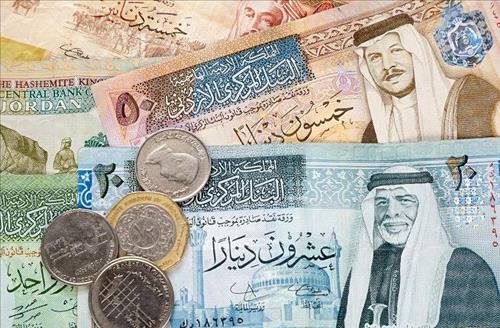 With the signing of this agreement, the total number of loans the AMF presented to the Kingdom stands at 23, with a total value of 186 million Arab accounting dinars, equivalent to some $778 million, according to the statement. Meanwhile, the AMF, through the Arab trade finance programme, offered credit facilities to finance the Kingdom’s foreign trade, through which the 15 Jordanian agencies accredited by the programme signed 65 line-of-credit agreements with a total value of $1.125 billion. The Kingdom is currently utilising $100 million out of a ceiling set at $165 million for Jordan to benefit from the Arab trade finance programme, bringing AMF and programme funding to the Kingdom to an estimated $2 billion. Jordan also benefits from technical assistance programmes to support reform efforts in Arab countries, which provides training opportunities for Jordanian technical employees working at the CBJ, the Finance Ministry and the financial, monetary and statistical agencies through the AMF’s Institute of Economic Policies. In this regard, 788 Jordanian employees have participated in the courses and workshops organised by the fund in various economic, banking, monetary, financial and statistical fields.